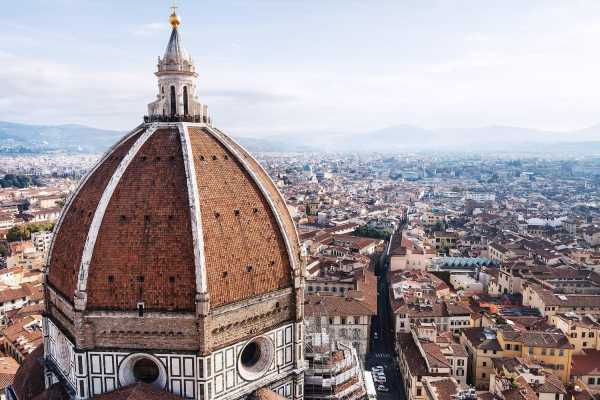 Tours in Tuscany - Tuscany on a Budget, one of the Italy on a Budget tours' branches, is a travel company based in Florence and specialized in the youth travel 18-35 ‘s market. No more stress and queues, just vines and views! 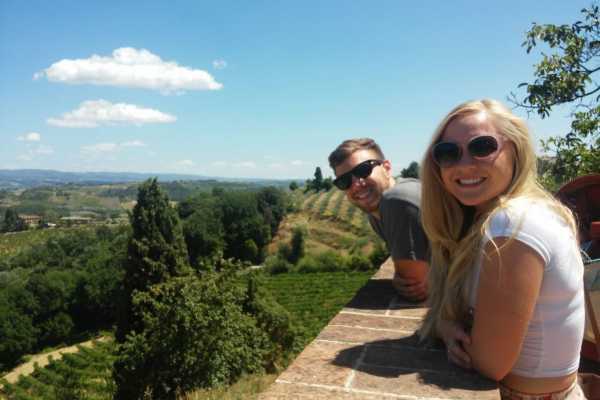 THE TUSCANY EXPERIENCE - Siena, San Gimignano, Monteriggioni & Chianti all in 1 day! A day trip to Tuscany with 2 wineries, 7 different types of wine to taste, 3 extra virgin olive oil, balsamic, Tuscan snacks, amazing scenery and the visit to San Gimignano all in 1 day! Join our FUN day trip to the Chianti countryside to meet other travellers of the same age and to discover why the area is famous for its scenery as well as its wine. First stop will be at a WINERY AND TUSCANY WINE TASTING SCHOOL located an hour outside of Florence where you will taste 4 different type of wines including the famous Chianti Classico, Brunello of Montalcino, Super Tuscan wines, a 30 year-old balsamic vinegar and the delicious truffle extra virgin olive oil. Here you will learn how to recognize the different flavours and develop your taste buds with a passionate wine producer. Don't worry this is not a real school where you have to take notes and be tested at the end so only fun is guaranteed. The second stop will be at a second LOCAL WINERY located in a stunning area well known for the production of the D.O.C.G. Vernaccia white wine facing the famous towers of San Gimignano. The wine makers will guide you through the vineyards and the cellars and they will share the secrets of the wine and oil production as well as the best wine and food combinations. At the winery you will enjoy 3 wines; the famous Vernaccia white wine, a rosè wine and a Chianti colli senesi D.O.C.G. You will also have the opportunity to buy the local products and wine at a great price to bring back home or ship to friends and family. In the afternoon you will be free to visit and spend time wandering through the narrow streets shopping in the local stores of the most beautiful medieval town of Tuscany, SAN GIMIGNANO and check out the tower filled skyline while eating the ice cream from a world-champion gelateria. Maps will be provided from your tour leader and tips about the best places to visit in the town. We will arrive back to Florence at approx 5:00pm** ** all departure/ arrival time are all estimated and are subject to change due to road conditions and traffic. DETAILS: MONDAY, WEDNESDAY, FRIDAY 9:40am in front of our office on Via Nazionale 149R opposite Hotel Galileo € 60pp Our English-speaking Italy on a Budget tour guide, 2 wineries, 2 wine tasting, snacks during the tasting, 1h30 visit of San Gimignano. 7h. We return back to Florence at 5pm > Make sure you have a big breakfast before coming on the tour. Lots of wine is involved so an empty stomach is not recommended. > People younger than 18 are not allowed on this tour. We suggest to look at more suitable tours such as the Tuscany Experience where there is not so much wine involved. > Departure guaranteed with a Min. 4 people - Max: 60 people ( not a small group tour in high season ). Checking out on the same day?The office is near the train station so if you are checking out the same day of the tour, feel free to bring your bags and luggage with you. We will store them underneath the bus/van so that you will be ready to leave to your next destination when returning to Florence. Spending the night in Siena? Ask your guide to be dropped off in San Gimignano so you don’t have to come all the way back to Florence. From San Gimignano you can take a local bus to Siena. There is nothing more exciting than exploring Tuscany on board of an Italian vespa. Join our day tour from Florence to the Chianti region and finally ride your vespa on the rolling hills of Tuscany. Enjoy the visit of one of the most beautiful Medieval villages in the area and the tour of a winery with lunch and wine tasting. 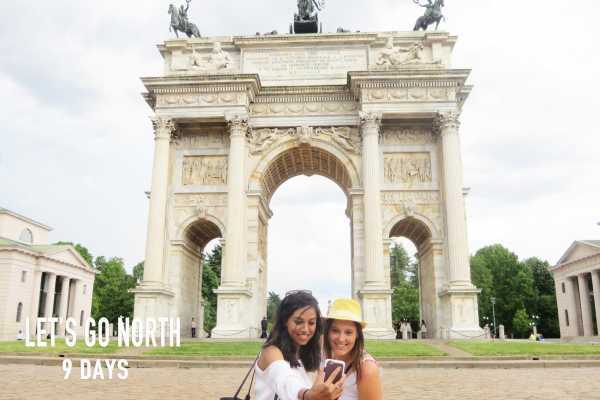 WHAT'S INCLUDED: Roundtrip transportation by minivan or bus to/from Florence Small Group Vespa tour English speaking informative IOAB tour leader Orientation and driving test Visit to the medieval town of San Gimignano Authentic Tuscan meal Wine and olive oil tasting Guided tour of a winery and the cellar Insurance, helmet & safe locker DETAILS MONDAY, WEDNESDAY, FRIDAY From April until the end of October 9:40am in front of our office on Via Nazionale 149R opposite Hotel Galileo € 135 per driver ( 18 + ) € 110 per passenger ( 18+ ) € 219 full ride / driver ( 18 + ) + passenger ( 15+ ) 7h REQUIREMENTS: > Bring long pants and closed shoes for the ride > Drivers are required to carry a valid driving license > A minimum of experience is required and highly advised. See the important notes on the itinerary sections.